Disc and drum type, certified, updated continuously and a wide range of models. Produced by the strictly defined requirements of EU Directive R90, including the silencers of a new generation, which are particularly useful when coated with fibre reinforced rubber. The BRP brake pad manufacturing process involves a heating process providing a significant advantage to a brake pad when it is in contact with the surface of the brake disc. Optimal thermal conductivity. Contributes to avoiding vibration. Improved absorption coefficient that reduces noise. Enhanced resistance to cracks and deformations. Ideal braking and safety features. These are some of the most load-bearing parts in a car, which makes the BRP line extremely durable. Made according to the OEM requirements, by carefully checking steel and other components in each production batch. As with all parts of the BRP system, the corresponding warranty applies. Made by the DOT standard to be ideally fitted for a particular car. High-quality rubber ensures high temperature and chemical resistance. Hose nozzles are made of hardened anti-corrosive steel. All BRP brake hoses are tested according to the FMVSS 106 and SAE J1401 test procedures and undergo the pressure test of 4000 PSI. BRP ABS sensors are precise. They are pressure-resistant when needed, but they also can release it. No errors. BRP brake pads supports are ideally lubricated according to a particular method, with special care in all critical locations, especially where the frame and brake pad slip. Thanks to its excellent lubrication, the supports are quickly and smoothly mounted in a car while saving working time, and they exceptionally well and safely used during operation. Excellent stability of braking performance, under extremely high temperatures. Significantly low dust emission during braking. The brake discs are evenly worn. Service period is significantly longer: after 100,000 km the truck pads were worn only by 50%. Perfect heat-resistance and disc preservation. BUGUS an Especially Wide Range of Air, Cabin, Oil and Fuel Filters. BUGUS For engine operation, air filters BUGUS ensure perfectly clean air free of solids, dust and moisture. Being absolutely sealed, they are manufactured of specially impregnated corrugated paper as different contaminants, e.g. solids, soot, etc. are sucked in together with intake air: impurities entering the combustion chamber may influence considerably premature wear of the engine. They also damage electronic parts, e.g. sensors located between the intake area and combustion chamber as well as air flow meters. Application of top-quality air filters and timely replacement thereof result in 3-4% lower fuel consumption. Cabin filters take care of driver and passenger environment: due to special structure of filters BUGUS, they trap particles even as small as micron size. Results of the research have demonstrated that cabin air ventilation ensured by cabin filters BUGUS is especially efficient throughout the service life (until the next replacement). The cities and towns we live in are contaminated and dusty, full of traffic particles, metal solids and air polluted by plants. Most of us spend considerable time in cars, therefore, demand for cabin filters has been increasing amazingly: replacement thereof is recommended each 10 000 km. Special care of cabin air shall be taken if you have small children. Removing all impurities from the oil used for engine lubrication, oil filters ensure that only completely clean oil reaches the relevant engine parts, thus protecting the engine from premature wear: with increase in viscosity of contaminated oil, technical properties thereof are impaired, bearings and supports may also be damaged as contaminated oil fails to form the film required by them. Oil reduces friction in bearings and supports, cools and cleans the engine, and protects it against corrosion. Besides, fuel consumption is influenced. The line BUGUS offers everything you need, i.e. from rotating filters to Eco filters (containing no metal). Pressure resistant housings of oil filters BUGUS with protection against corrosion, durable filter material and sealing ring will certainly be appreciated by your engine. Purpose of fuel filters is to remove any impurities from fuel, protect an injection system and carburettors against corrosion and contaminants, ensure engine service reliability: featuring great density and high quality, filters BUGUS are insensitive to aggressive fuel types, thus acting as a perfect partner of your vehicle since this is the clean fuel that is the key condition for comfortable driving. All filters BUGUS are accompanied with Russian certificates. A semi axial hinge is a high-precision part, protected by flexible rubber protection that is lubricated with a graphite lubricant to ensure the free movement of the hinge, without grinding. A semi axial hinge is a long-lasting part, but it can be impaired due to exposure to extreme temperatures and road debris that can cause damage to the protective rubber. In this case, the grease and contaminants will immediately penetrate inside of the part - dirt and moisture will be distributed in the joint causing friction and grinding. The best way to avoid the wear of a semi-axial hinge is to perform a visual check. Try to do it during each oil change, or when you fill the tires with air. Simply clean the rubber protection with a cloth: if you see the signs of grease, then look for cracks or holes. If the problem is detected early enough, you might save some money, because you only need to replace the hinge protection with grease. The Gennor line consists of high quality, certified products - internal and external flexible hinges, and their protections with grease. 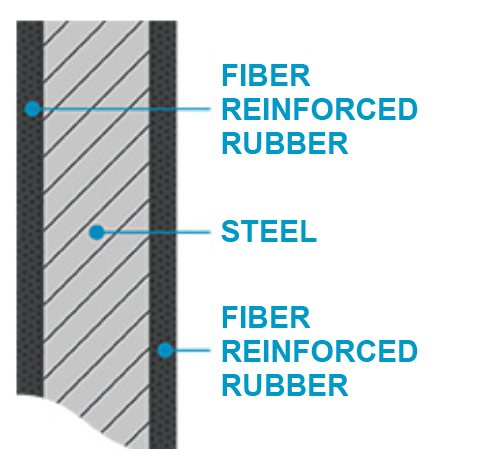 The protective rubber is made from a unique long-term mixture of materials adapted to the cold climate. We provide warranties, and we hope you will appreciate the quality. GPD offers an extensive range of high-quality clutch parts. Clutch assemblies consisting of the clutch disc, disc holder and demountable bearings. Clutch assemblies including a dual mass flywheel (DMF). Clutch assemblies with a solid flywheel. As well as GPD water pumps. The production line received TS16949 certification thus improving and managing the manufacturing process completely, whereas the core of the aforementioned is based on 6S System (Sort, Stabilize, Shine, Standardize, Sustain, Safety), Advanced Product Quality Planning (APQP), Design Failure Mode Effects Analysis (DFMEA) and Production Part Approval Process (PPAP). A clean ultrasound manufacturing line ensures clean manufacturing of products. The up-to-date equipment from Italy and Germany guarantees continuous operation. During manufacturing, the product passes the Process Accuracy Center, Gauge Development Center, New Production Development, Inspection and Testing Center as well as a range of additional machinery and testing machines improving the manufacturing process: for instance, a speed-testing machine ensures efficient stabilization of the vehicle body on the uneven road by a shock absorber, salt- and temperature-resistance of a shock absorber is checked. All attention and efforts are focused on improvement of the product appearance and intrinsic properties thereof. Steering racks and their nozzles. The best quality metal, rubber resistant to cold weather, ideal engineering solutions that meet the OEM requirements - we pay particular attention to this line of production. TIMMEN steering, electrical parts, mechanical spare parts, rubber parts, cooling system. The range of steering parts contains products, which are under the very toughest conditions, when fitted on the car. Driving in uneven terrain or on poor roads stresses the suspension parts to such a degree that only the newest technology and the finest materials can pass our strict quality demands. Tie rods / tie rod ends. Indicator and turn signal switches. Ignition and head lamp switches. Brake light and oil pressure switches. Voltage regulators and ignition coils. Mechanical and electrical window lifters. Door and window winder handles. Clutch, accelerator and handbrake cables. Valve cover and head gaskets. Fuel tank and oil filter caps. Rubber parts are often the most frequent product to be replaced once a vehicle take on some years. This is why we give extremely high focus to the quality controls of this particular product group. Especially high attention is given to the vulcanization of the rubber/metal parts. Strut bearings for shock absorbers. Protection boots for steering gears/shock absorbers. Rubber mounts for rear axle beams. Connection links and rubber metal connections. A heavily expanding range within the field of cooling parts covering almost any part in that group. All parts are constructed to be conform to the original spare parts as they are to endure extreme heat in warm countries and handle with cold regions freezing weather conditions. Water flanges / pipes / thermostats. Electric fans and fan wheels. Water pumps and oil pumps. Landsail tires for aviation and vehicles are not inferior and often supersede many of the premium segment tire competitors in their parameters. The ISO9001, ISO/TS16949, ISO14001 and OHSAS18001 certificates held by the manufacturer show control of the product design, raw material supply, process monitoring, logistics, environmental protection, health and safety at work, and many more. Landsail tires are certified by the E-Mark, CCC, DOT, R117, INMETRO, GCC, SONCAP, LATU Certificates. The company owns 5 national patent, 2 utility patents, 15 national design patents and 2 EU design patents. It is one of the few manufacturers producing 20 series of tires, such as the 315/20ZR30, as well as the world's first manufacturer offering series production and sales of 32’’ tires (305/25ZR32). Landsail ultra-quiet and environmentally-friendly tires surpassed the EU requirements on wet and uneven surfaces, reaching 68DB, which exceeds even the EU requirements planned from 2018. The Landsail run-flat tires have fixed the stiffness and inconvenience problems common in this type of tires, applying a unique formula and structural design that does not cause discomfort even at high speeds. In April 2013 Landsail aviation tires were granted the CTSOA certificates from the Civil Aviation Authority, andLandsail became one of a few companies in the world to manage aviation tire production and technology. There are no compromises for the quality of the Landsail tires. The beginning of the 21st century was a time of active development of next generation technologies. This new era led in 2005 to the founding of Duran Lubricants & Chemicals GmbH as a subsidiary of a large producer of lubricants in Germany. Our product portfolio offers motor oil, transmission fluids, hydraulic and industrial oils, as well as greases, brake fluid, windscreen cleaner and antifreeze agents. We review the selection of our suppliers with exacting care. Therefore, we only use raw materials from experienced, reliable and internationally renowned partners to manufacture our products. The oil refining process takes place in special manufacturing plants that guarantee the highest quality product output. The constant high quality of the products is guaranteed by continual monitoring in certified laboratories. Reliability, professionalism, efficiency and flexibility are the basic principles and the philosophy of our company. Marketing communications and public relations have top priority at Duran Lubricants & Chemicals GmbH. Constant observation of the market ensures the joint success and satisfaction of our customers. 1. Products are always developed by taking into account the requirements of various countries, such as climatic conditions and the diverse needs of potential customers. 2. The strategy of the FOSSER brand is characterized by constant dynamic growth and high-speed movement. These themes reflect not only the characteristics of the FOSSER brand, but also the rapidly expanding market for our products. Embodying the active lifestyle of determined and successful people, sports images convey an important advertising message for our company.